Enjoy breathtaking vistas at some of the most uniquely beautiful biblical sites in both Greece & Turkey. Walk in the footsteps of the Apostle Paul and see the Aegean Sea like you’ve never seen it before. Reconnect with your spirituality in Greece, and relax while you cruise to Turkey and the island of Crete. Experience Greek history and culture and learn more about early Christianity as you visit some of the places associated with the missionary journeys of the Apostle Paul and the New Testament. 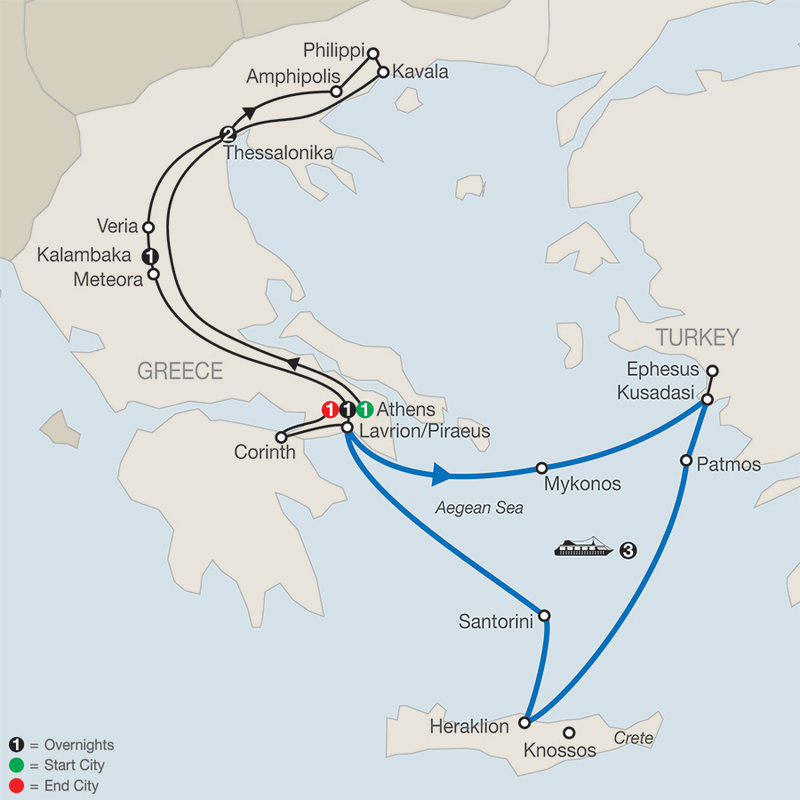 From the iconic religious sites retracing the footsteps of the Apostle Paul to historic wonders like the Acropolis in Athens and a final touch of relaxation as you cruise on the Aegean, this is a truly inspirational experience.